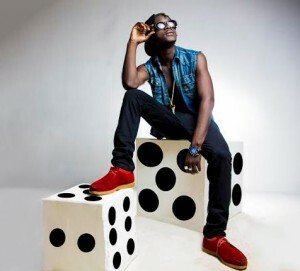 When Episode released ‘avatar’, many believed the song is a diss song targeted at Jupitar, but inasmuch as his management wants dancehall lovers to believe that there is no tension brewing between their artiste and Jupitar; some indications prove otherwise. About a week ago, without the mention of Episode’s name, Jupitar updated his Facebook Timeline asking his fans to disregard the news making rounds about the seeming beef and tension between Episode and himself. “To whoever feels my #Avatar song concerns them, they can feel free to reply or join me on stage, so we battle it out. It is not about fight or violence. NO WAY. Violence is not my thing and everybody who knows me can testify. With Dancehall, we call something SOUND CLASH or STING where various artistes take LYRICAL battles against paired opponents to see who is who. But it is very evident the person and his Management who claims my song is about them is just afraid to face me on stage, so we prove it to the audience, just as the fans are requesting. If they claim, my song wasn’t about them why are they busy tweeting to me or tweeting about it on social media? They should stop hiding and boldly come out and face me with the microphone. This is Dancehall, and sound clashes are like Olympic Games between artistes so whoever feels intimidated by my song can step out and defend themselves. Based on this updates, Jupitar is expected to join Episode anytime soon for a lyrical battle but Jupitar’s update appear that the possibility of ‘requested’ lyrical battle may never materialize. According to the management team of Jupitar, Jupitar can never be in a lyrical battle with anyone.